3D printing is a great technology used in many industries. One specific technique that proves to be a great asset for demanding engineering projects is Metal Prototyping. According to the State of 3D printing 2018, the use of metal in the Additive Manufacturing industry is huge. And this is a well-justified fact if we take into account what metal prototyping is capable of. With Metal Prototyping, not only you can achieve creative solutions to engineering and design problems, but you can also overcome limitations that many of the traditional manufacturing technologies impose. Let’s get to know more about Metal Prototyping with 3D printing, which are its advantages, the top of the best projects where it’s used and, of course, our tips for successful 3D printing results. Rapid Prototyping Technology (or RPT) is a manufacturing technology that turns the 3D designs into solid objects. These parts are meant to be used in engineering projects as machine parts, prototypes or molds. RPT is an additive manufacturing process that builds the prototype layer by layer, and usually refers to 3D printing technologies such as Selective Laser Sintering (SLS) and metal 3D printing. Metal Rapid Prototyping is widely used in many industries because of its numerous advantages. One of the greatest advantages of Metal Rapid Prototyping is the speed. As the name implies itself, this manufacturing technology lets you accelerate the production procedure of prototype. This is a great asset for business to eliminate time and consequently cost. One major advantage of Metal Rapid Prototyping is that it allows for the creation of complex designs. 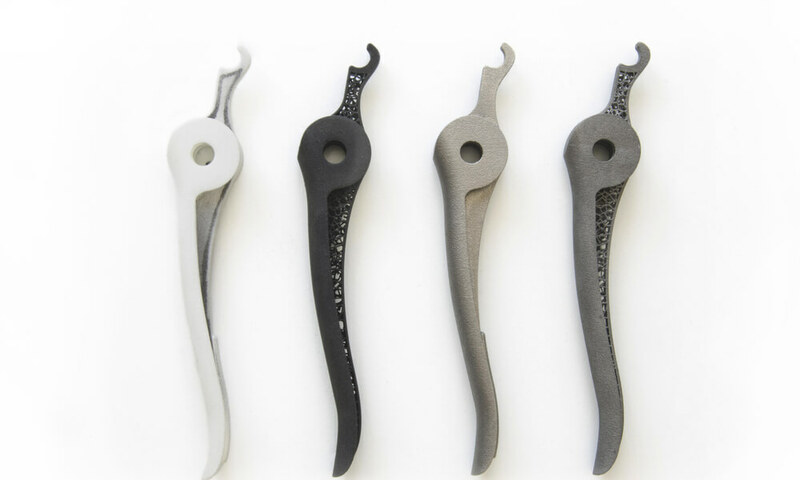 3D printing doesn’t impose design limitations, so with this manufacturing technology, designers can redefine the shapes of the existing parts. The optimization of design is a factor that can also lead to the acceleration of the part’s efficiency and allows for parts that will perform better in engineering projects. There are many cases in the automotive or aeronautical industry that metal prototyping allowed for the simplification of the parts complexity and the reduction of the number of parts. For example, an engine with 40 different components, can be limited down to 10. This is a great achievement for the industrial designers, as it opens new roads for the development of alternative design approaches, and to the creation of new components and products. Last, metal prototyping is a manufacturing technology that gives the opportunity to work directly with the right material. It is possible to 3D print directly with any metal you want, in any scale you want. For example, you can print metal parts at a small scale, so as to test how the material performs and check which difficulties occur during the printing. Moreover, as Metal Prototyping is quite an expensive procedure, usually parts are not produced directly in their actual size. On the other hand, some experimental prints are first printed in plastic or in the most economical metal. That said, Metal Prototyping is a great asset for many industries especially for the aeronautics and the automotive industries. Let’s go through some projects where metal prototyping proved to be a game-changing technology. What about 3D printed turbine blades? Metal Prototyping proved to have great potential in this project of GE (General Electrics). Actually, the turbine blades for the Boeing 777X’s GE9X Engines, the world’s largest jet engine are now 3D printed with a special strong and heat-resistant material: metal titanium aluminide, also known as TiAl. The blades, that are 40 centimeters long, require huge forces to spin inside the engine at 2,500 rotations per minute and they generate enormous amounts of heat. Thus, these blades were not easy to print. The engineers had to run many experiments to find the best result, and Metal Prototyping was the right technology to help them achieve that. Up to now, this engine part was produced with molding, an expensive and time-consuming technology compared to 3D printing. With Additive Manufacturing, the blades’ weight is reduced by 50% compared to the metal alloys typically used in aviation. Moreover, Rapid Prototyping reduced the need for expensive casting materials and it allowed for the creation of parts in more complex and lightweight shapes. Last but not least, the fuel efficiency of the engine increased by 10%, which is a great achievement in terms of energy efficiency. Metal prototyping is used in the automotive industry and it contributes to making energy efficient cars. With the aim to achieve greater environmental sustainability and energy efficiency, student engineers from the University of Canterbury in New Zealand designed and 3D printed the first 3D printed titanium internal combustion engine (ICE). This engine competed in the Shell Eco-marathon 2018 in Asia. The aim of this optimized design was focused on searching for new ways to achieve energy efficiency and environmental sustainability of such engines. Metal prototyping was the best technology for this project, as it allows for a short manufacturing period, which is a great asset for competitions. The experimental parts were printed quickly, tested and then the feedback was implemented back to the initial design. When it comes to the automotive industry, 3D printing does not produce 100% 3D printed engines, rather than components. However, in this case, the engineers from New Zealand managed to create the first totally 3D printed titanium engine, which is fully functional. This is a great example of demonstrating how metal prototyping can be used in the automotive industry in an innovative and disruptive way. The student engineering organization Hornet Racing in collaboration with the Sacramento campus of California State University redesigned the intake manifold of an engine of the Formula race car for the international Formula Society of Automotive Engineers (SAE) competition. Thanks to the Rapid Prototyping technology, they improved the performance of the engine and achieved remarkable results. Rapid Prototyping was the best solution for their project, as it allowed for a fast production of parts, with no tooling cost, truly accelerating the product development process. This technology also helped them achieve a 43% increase of the performance of the engine, reaching the 14,000 rotations per minute. 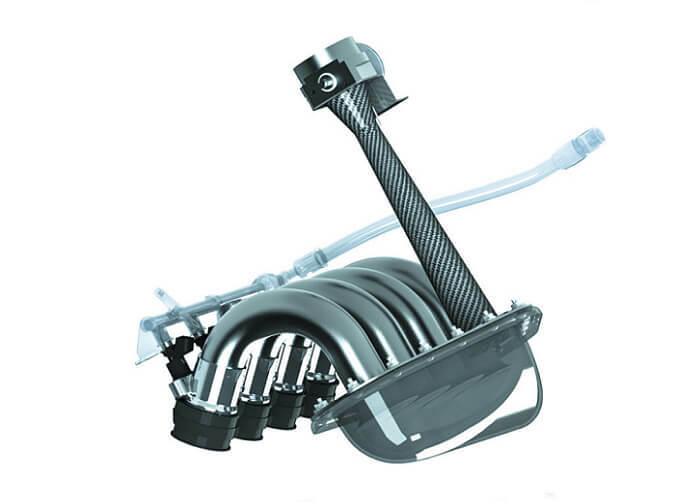 Moreover, the optimized design of the manifold allowing the increase of the airflow by 30% thanks to the new diffuser. One additional advantage of the optimized design was the decrease of the number of weld joints, a fact that lead to a decrease of the flow turbulence and improvement of the engine performance. Last but not least, thanks to Rapid Prototyping, the 3D printed intake manifold as a whole achieved a 50% weight reduction. As in every engineering project, you need to test your parts before using them in the production or launching them in the market. So does happen in the case of Metal Prototyping. Since this technology can be expensive, we recommend you to first print a model of the part on a small scale. That way, you can get an economical part that you can use both in experiments and in simulations, as well. Then, you can evaluate its performance, maybe apply some changes to the design and print it again, to check the new version of it. When you are sure about the result, you can send it for printing in the actual size. With Metal Prototyping, you can process many materials. As technology evolves more every day, new metal alloys are being launched in the market. However, not every material fits every need. Different projects have different requirements. Some parts need to be 3D printed in metals that have low levels of shrinkage, some others require metals with extremely high melting point and in some cases, you may simply want the most economical metal alloy. You can check out our metal 3D printing materials and get an idea of the available options you can choose from. The important thing is to define your requirements and make an investigation before investing in your print. It’s a fact that 3D printing gives you great design freedom, but there is one important rule. You have to design yourself for the 3D printing technology you are going to use. This means that in the case of Metal Prototyping, you need to design your parts with the restrictions that Metal 3D Printing imposes. Some of the most important limitations are to adjust the wall thickness of the parts. As Metal Prototyping processes metal powders, there are some limits on the features it can create with this powder. This depends mainly on the 3D printer you will use. Moreover, you should mind the diameter of the holes that will be printed. Usually, holes with a diameter smaller than 0,5 mm fail to be printed. Also, mind that the minimum size of the details that are Metal 3D printed should be 1mm. But again, this number varies upon the precision of the 3D printer that you will use. Metal Prototyping is not the cheapest manufacturing process. So, before 3D printing your part, make sure your design is a great one. As Additive Manufacturing doesn’t impose design limitations, you can create anything you want. Solid blocks of material can be replaced with new shapes, complex geometries, and lattice structures to make your part lightweight and more efficient. But how can you achieve that if you are not a designer yourself? The tips above may not be sufficient for your metal prototyping project. Sculpteo Studio is our dedicated department that offers consulting, training and design services to improve your part in terms of design. Our professional industrial designers after years of experience in combining digital design and 3D printing can help you get the optimal design for your metal 3D printing project. Ready to turn your design into a prototype? Check out this blog post in order to choose the best 3D printing material for rapid prototyping and then upload your 3D file to our online 3D printing service!